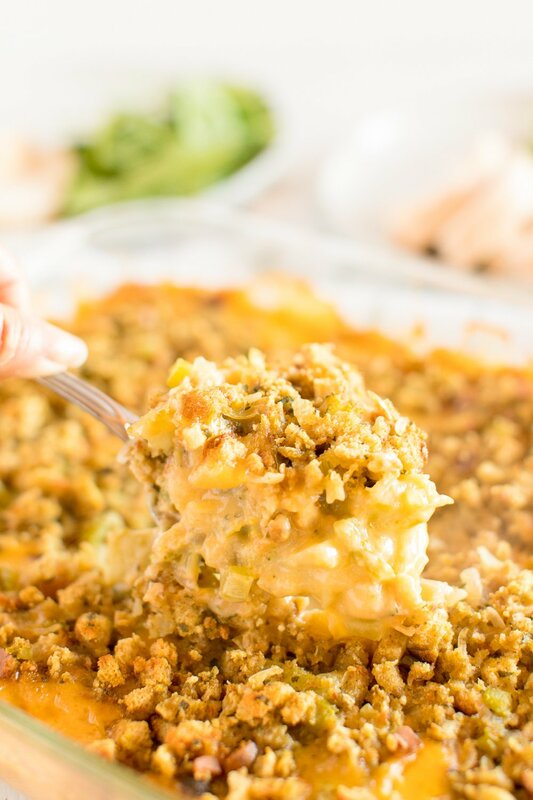 Broccoli Cheese Casserole is a wholesome, comforting side dish that’ll compliment any meal. 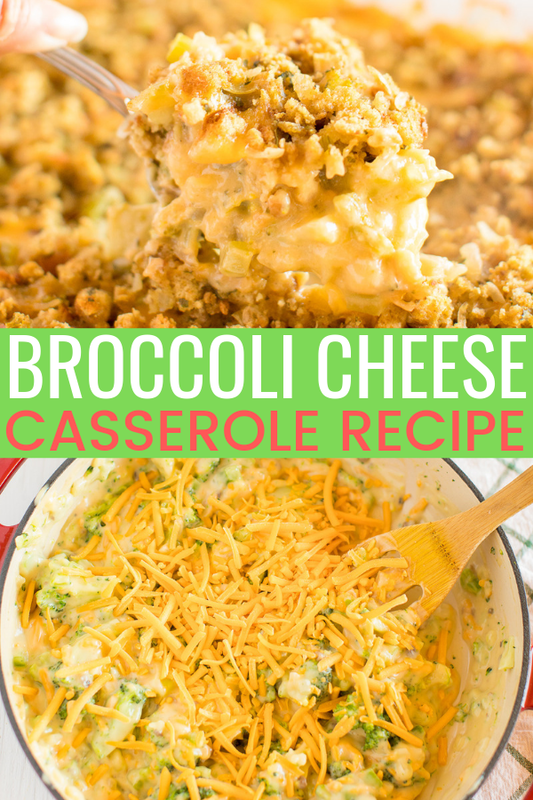 Made with broccoli florets, creamy soups, cheddar cheese, and herb stuffing. Try making and sharing it at your next get-together! 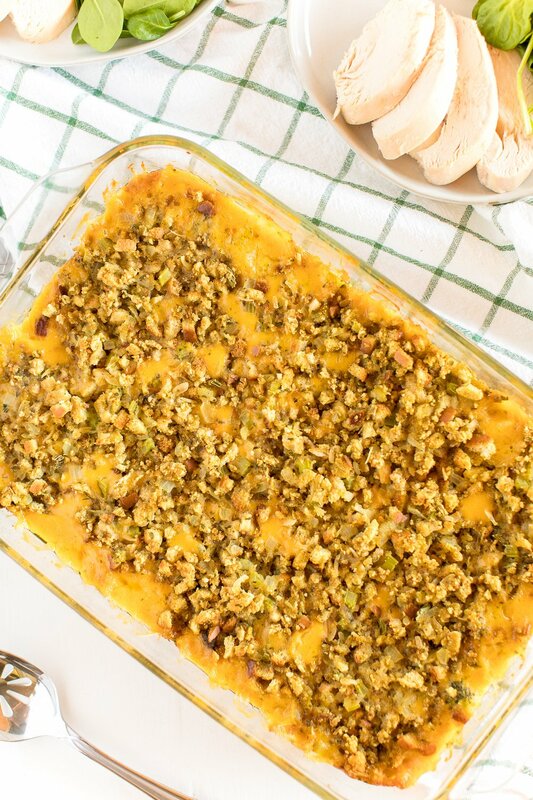 Broccoli Cheese Casserole a crowd-pleasing side dish to serve at family get-togethers. 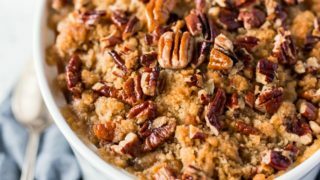 It’s perfect for those times when you want to bring a side dish that’s a little different than usual! I mean, we all love Mashed Potatoes, but we need to switch it up once in a while, amirite? Easter is just around the corner … can you believe it? If you’re planning on a party or potluck, this Broccoli Casserole Recipe can add some “green” to the table. And I have to point out that this Broccoli Casserole pairs wonderfully with Maple Glazed Ham and soft Yeast Rolls. 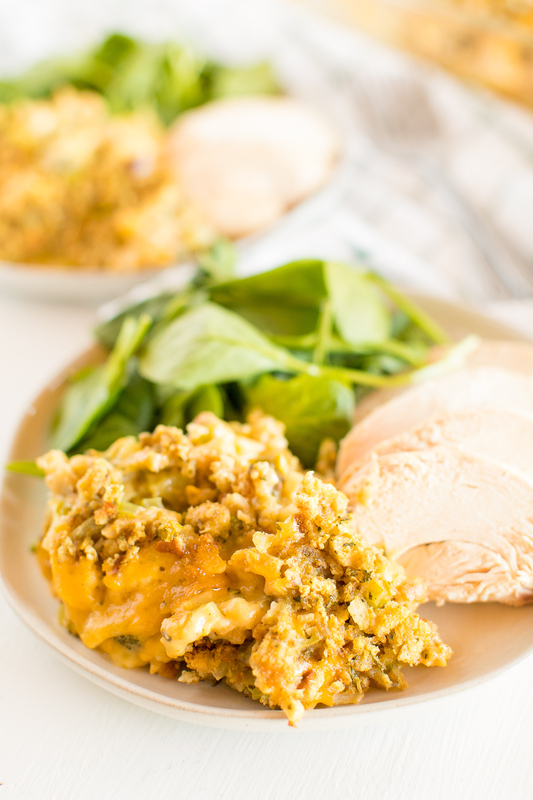 What’s In Broccoli Cheese Casserole? 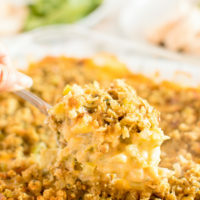 Broccoli Casserole is made with broccoli florets, cream of mushroom and cream of chicken or broccoli cheddar soup, cheddar cheese, and herb stuffing mix along with some seasonings. In other words, it may be the tastiest way to get the kiddos (and adults) to eat their veggies. By the way, did you know you can make Condensed Cream of Chicken Soup from scratch? It’s really easy and totally worth it! Once cooked, this Cheesy Broccoli Casserole is crunchy on top and ooey and gooey in the middle. Yep, this stuff is healthy(ish) comfort food in a pan. Plus, if you’re a fan of stuffing and/or broccoli and cheddar soup, you definitely have to try this recipe. All your favorite flavors are in there! 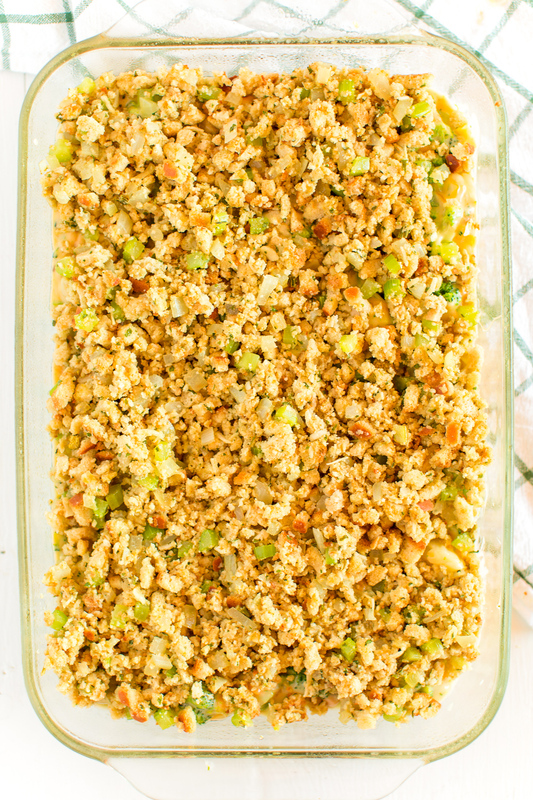 This wholesome casserole is easy to travel with and still tastes great re-heated. So if you’re headed to Grandma’s for Easter dinner, tell everyone you’ll bring the veggie dish! It goes without saying that you can whip up this Broccoli Cheese Casserole Recipe for other occasions, too. Christmas, Thanksgiving, Fourth of July, or your family’s big Sunday get-together — there’s no wrong time to enjoy this dish. 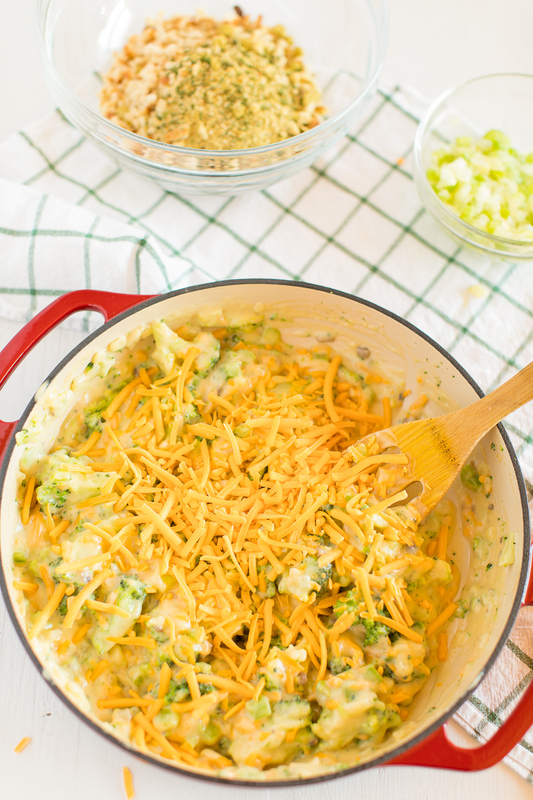 When you need a hearty and comforting side dish, Broccoli Cheese Casserole fits the bill. Try making and sharing it at your next family get-together — it’ll be a hit! 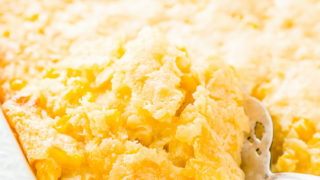 Preheat oven to 350 degrees F and grease a large casserole dish with nonstick spray and set aside. While the onions and celery are cooking, boil the broccoli until fork-tender and drain. Once onion mixture is cooked, add half of the celery and onion mixture and the soups to the cooked and drained broccoli. Mix over low heat until heated through. 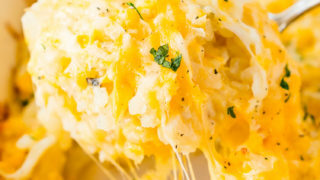 Stir in the cheese and transfer to a large casserole dish. Mix remaining celery and onion mixture, stuffing, and chicken stock to make the topping. Spread over the top of the broccoli mixture. Cover and bake for 45 to 60 minutes. The casserole should be bubbling when done. If you want the top a bit crunchy take cover off last 10-15 minutes.